How to Accept Bitcoin Payments As a Business? So you run a company and want to start accepting Bitcoin for your business. You can either do it with help from third-party services, or customers can pay you in person without any middleman. Both methods work for both online and offline businesses. The easiest way to accept Bitcoin payments as a merchant, in business, or on your website may be to use a Bitcoin payment processor service with a point-of-sale integration. You don’t need to be a Bitcoin expert and understand how it all works since the third party will take care of all that. Such companies can even deposit the money in your bank account in your preferred currency once payment has been made. 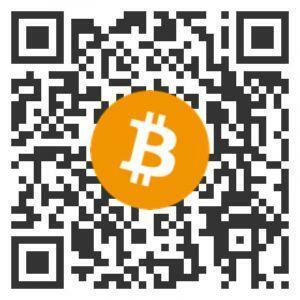 That would help reduce risks associated with Bitcoin price fluctuations and exchange rate. But all those services come with a fee. These services make accepting Bitcoin and cryptocurrencies easy and convenient for everyone. However, convenience always comes with a fee, so if you would like to take matters into your own hands, Bitcoin was made precisely for that reason. Alternatively, you can decide to process your Bitcoin payments by yourself. If you decide to do so, then you won’t need an intermediary or have to pay them any fees. You also won’t need a bank account if you don’t want to convert the Bitcoin payment into fiat currency or want to sell it for cash in hand. But you do need to educate yourself as a businessperson about how Bitcoin for businesses works and how to deal with its volatile exchange rate, and you need to know that payment confirmation may take longer. Start with learning how to set up a Bitcoin wallet for your business, published your public key (QR code) and you’re ready to accept BTC. Besides, you may want to set up an exchange account in case you want to exchange your Bitcoins for fiat later. In any case, Bitcoin’s ability to deal with customers in person, phone or tablet with a specific payment app can come in handy. It opens your business for an entirely new consumer segment and lets you brand yourself as a proponent of decentralization and financial freedom. And if you still have second thoughts whether you should accept Bitcoin in business, see these ten reasons why your business should accept BTC. However, note that technical issues aren’t the only important ones. 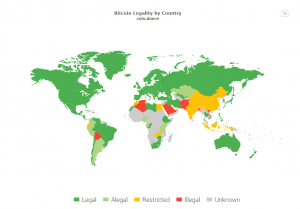 Before starting to accept Bitcoin, consult with a local accountant about tax compliance - Bitcoin adoption for businesses can be a bureaucratic nightmare based on where you live. 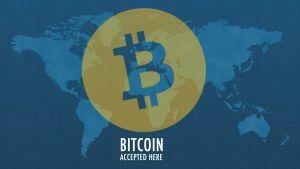 Is Bitcoin the new way of doing business? We hope so, but don’t forget to advertise that your company accepts Bitcoin. 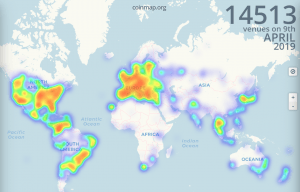 List your business on sites like CoinMap.org, make promotional graphics, online and offline, and add your company to other lists of those that take Bitcoins and cryptocurrencies. Bitcoin business opportunities are plenty, and you miss 100% of the shots you don’t take! Previous -How is the price of Bitcoin set? Next - What is Ethereum?